"Rarest of all, Goldstone can write. Her sentences are clean, flowing, intelligent, even arch. This Goldstone woman has a talent that you cannot buy. 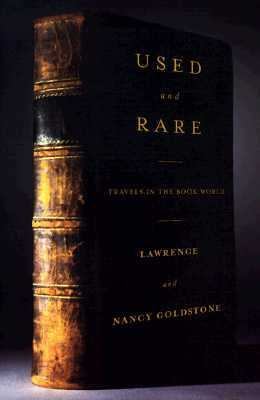 "Goldstone, Lawrence is the author of 'Used and Rare Travels in the Book World', published 1998 under ISBN 9780312187682 and ISBN 0312187688.